Note: In the map above, the four yellow huts are unconfirmed cases of dogs who died from Alabama Rot; the four blue anchors are unconfirmed cases of dogs surviving Alabama Rot. On a case per area basis, confirmed Alabama Rot cases are reported in the ‘Ringwood – Bransgore – Brockenhurst’ cluster triangle 783 times (ie 4622/5.9 case per km2) more frequently than in the rest of England. 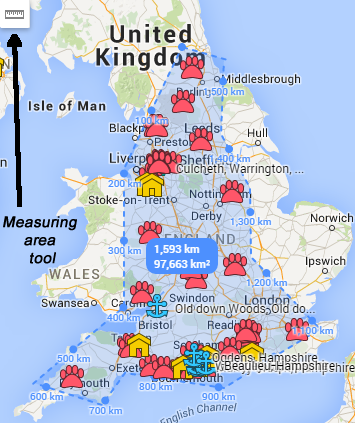 1) It does not take into account the total number of dogs walked in the area or the total number of miles walked. A map of confirmed Alabama Rot cases versus dogs numbers walked in an area, will be posted. 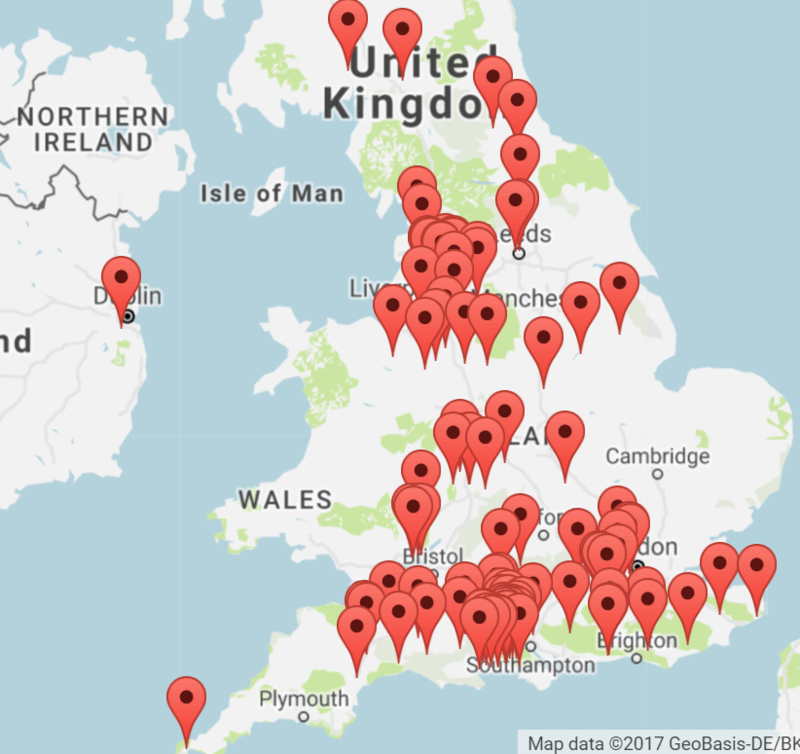 2) It is possible that cases of Alabama Rot are not reported uniformly by vets throughout England – the lead vets, Anderson Moores Veterinary Specialists, are based in Winchester, Hampshire. 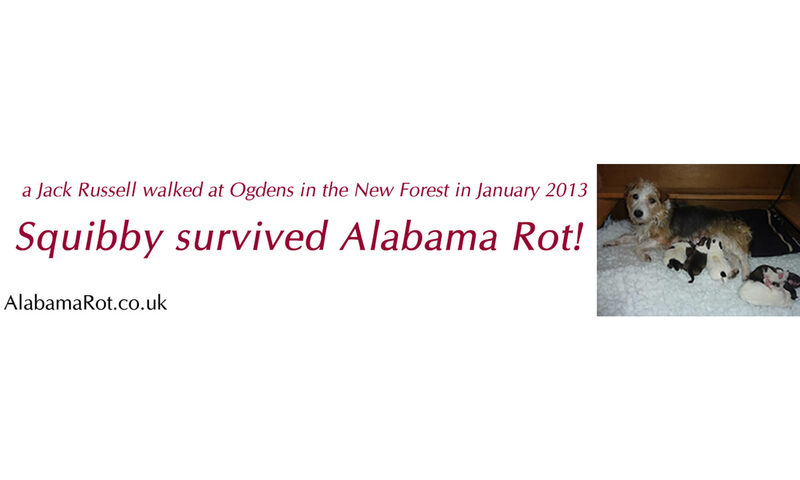 So vets in New Forest may be reporting a larger proportion of confirmed Alabama Rot cases than elsewhere in UK. A poll of UK vets would establish this. 3) It makes the assumption that clusters do not occur by chance. Further statistical analysis is required.